Our working space provides amazing office space to all out of the box thinkers. Organised and inspiring workspace is key in efficient corporate culture. 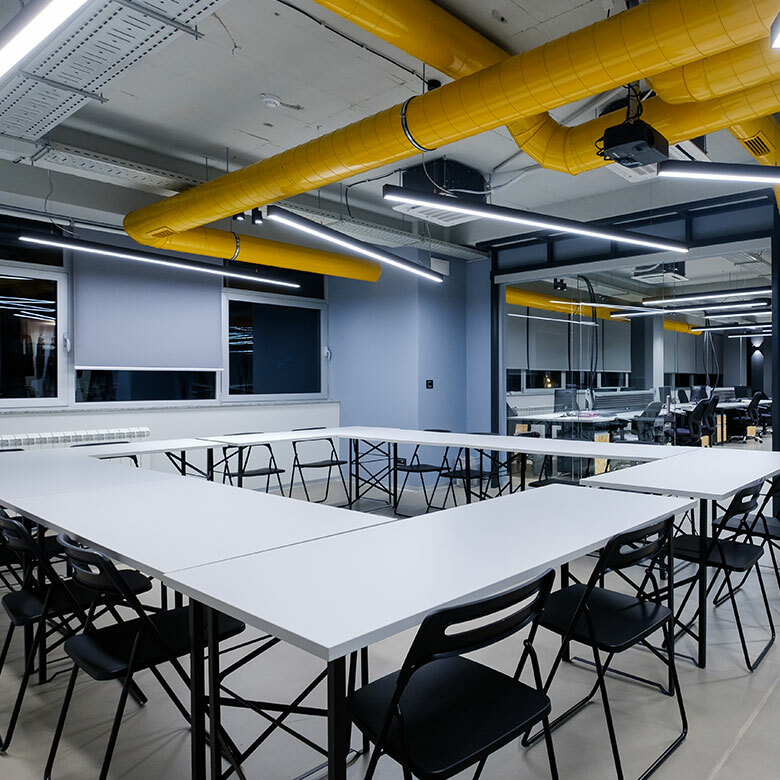 In addition to a large co-working space where you can have your own desk, you can also have two meeting rooms and private office spaces. In a very pleasant business interior, which contains all the necessary office equipment, organize your daily schedule of activities and increase your productivity. There is a business assistant at disposal, which will ease your work and provide administrative support. High speed internet will also allow you to more quickly and efficiently perform business processes. Check our office space and choose your plan. Contact us and book a tour for OUR inspiring space.